Oprah Winfrey has settled a defamation lawsuit filed by a headmistress she had accused of performing poorly at her South African girls school, where some students claimed they were abused, lawyers said Tuesday. A trial had been set to start next week in federal court in Philadelphia. Winfrey and several schoolgirls had been expected to testify. A joint statement released late Tuesday by lawyers for both sides said Winfrey and Mzamane met to resolve their differences. “The two parties met woman to woman without their lawyers and are happy that they could resolve this dispute peacefully to their mutual satisfaction,” the statement said. Winfrey was visiting her school last week when U.S. District Judge Eduardo Robreno refused to dismiss the lawsuit, concluding Mzamane had presented enough evidence to go to trial. Court papers suggest Mzamane is again working at a school in Africa, but a Winfrey spokeswoman declined to say if the meeting took place during Winfrey’s trip. The parties do not plan to discuss terms of the settlement, according to the spokeswoman, who works with Winfrey’s production company, Harpo Productions, which also was a defendant in the suit. A dorm matron at the Oprah Winfrey Leadership Academy for Girls has been charged in South Africa with abusing six students. 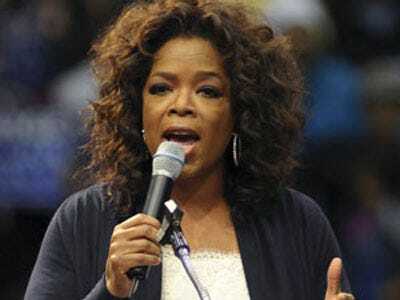 Winfrey has called the allegations crushing given her own stated history of childhood sexual abuse. The dorm matron, Tiny Virginia Makopo, has pleaded not guilty to 14 charges. Mzamane claimed that she was never told of the sexual abuse. However, Winfrey’s lawyers said in a pretrial memo this month that Mzamane failed to discipline Makopo despite her history of run-ins with students and fellow staff. One of Mzamane’s lawyers, Timothy McGowan, declined to comment Tuesday beyond what was in the joint statement. Mzamane, born in Lesotho, formerly worked at the private Germantown Friends School in Philadelphia and was living in the city when she sued two years ago. She earned $150,000 a year as Winfrey’s headmistress. Winfrey had planned to defend the case on free speech and other grounds, arguing she merely voiced her opinions. Mzamane’s lawyers, who noted Winfrey’s huge media reach, contended listeners would think the remarks were based on facts she had gleaned from the school’s internal investigation. Winfrey, as a named defendant, would have had to attend the trial each day, and courthouse staff had been preparing for a media onslaught. In court papers, Winfrey said she had planned to hire nurses to serve as dorm matrons for the 150 seventh- and eighth-grade girls who were selected from impoverished backgrounds to attend her school. Mzamane instead hired eight young women from a local company called Party Design, she said. During the school year, Makopo attacked another dorm parent, injured three people while driving a golf cart after a champagne party at Mzamane’s home and retaliated rather than apologise to girls who complained of mistreatment, while Mzamane did little or nothing, Winfrey’s lawyers had alleged in their trial memo. The school, which opened in 2007 just outside Johannesburg, now has about 330 students. Forbes last year listed Winfrey’s net worth at $2.7 billion. However, for trial purposes, lawyers stipulated the amount at $1.2 billion. Mzamane’s suit had sought more than $250,000. In 1998, Winfrey successfully defended a libel lawsuit brought by a group of Texas cattle ranchers. The ranchers had sued her and a vegetarian activist over a talk-show segment on mad cow disease, in which Winfrey swore off hamburgers. Winfrey spent six weeks on trial in Texas, sometimes taping her Chicago-based show there, before the jury acquitted her.